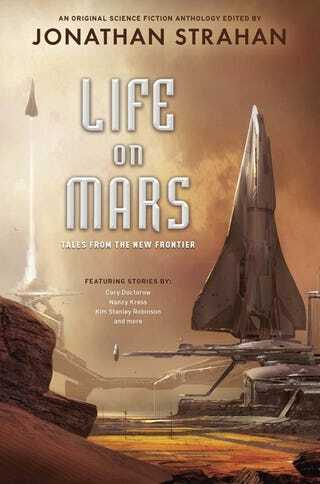 A new anthology of Mars stories, coming from Viking next April, includes just about everybody you'd want to see in its table of contents. Kim Stanley Robinson, Kage Baker, Alastair Reynolds, and more. And the cover looks stunning.